Have confidence in your tubing. K-Tube Technologies is the largest producer of miniature stainless steel tubing in the United States and the only manufacturer to offer stock and custom tubing directly from the source. We handle every step in the manufacturing process—from choosing the raw materials and laser-welding the tubing to cutting, finishing, and delivering exactly the tubing you need. Our control over the entire process allows us to make sure that every inch of our tubing meets the specific needs of our customers and the highest quality standards in the industry. Order tubing that is engineered and manufactured specifically for your application. K-Tube's miniature stainless steel tubing is used in devices such as catheters and needles, where quality, consistency and raw material traceability is critical to a device's performance. From idea to full-scale production, K-Tube’s engineers, metallurgists, quality assurance teams, and customer service representatives are available to help you get just the tubing you want, whether you’re looking for quick stock parts or a custom order. If all you need is a quick order of tubing for prototyping or testing, K-Tube Direct ships stock and thin-walled tubing overnight. 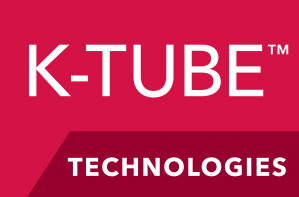 If stock tubing will not meet your design criteria, you can work with one of K-Tube’s engineers to develop your idea through our unique research and development process, K-Tube Discover. Once your project is validated and ready for volume production, you can count on K-Tube Design to manufacture consistent, quality tubing. We offer a variety of stock and custom sizes, metal alloys, ID and OD surface finishes, mechanical properties, and cut-to-length options. Below is a brief list of some of the choices we offer. To review stock sizes, check out our Tubing Selector Guide.